Description: A large and fun design, perfect for your party! Invitation measures 5.5 x 8.5 and can be embellished with glitter for an extra charge. Back of invitation is also printed with a coordinating design. 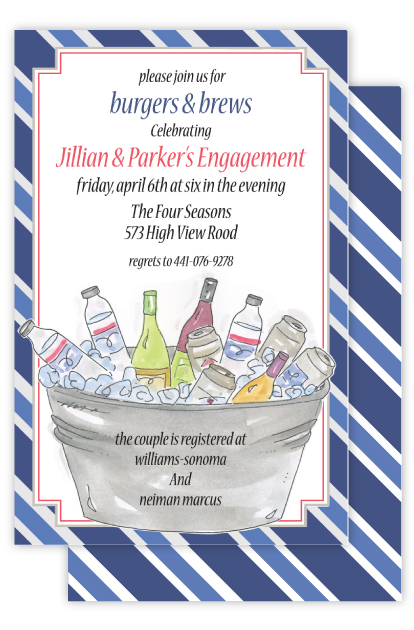 Let this invitation excite your guests, they won't want to miss your party! Return address printing and matching or coordinating envelope lining also available for these invitations. Please inquire for pricing.